I am professional musician, and love the variety that goes with it. From Performing at gigs, to teaching piano and keyboard, running workshops and composing music – I try to make my work hugely diverse, this not only keeps things interesting, but makes me a much better musician! I started playing piano from an early age; and was lucky enough to have a teacher who introduced and encouraged me to play and improvise in many styles of music. I had my first live performance aged 13 for BBC Music Live, and grew up playing with some of the best musicians in the country. Back in my school days whilst most of my friends were at home playing on the latest game console, I invested into some recording equipment, and would sit in my room writing, practicing, and recording my own songs for hours! 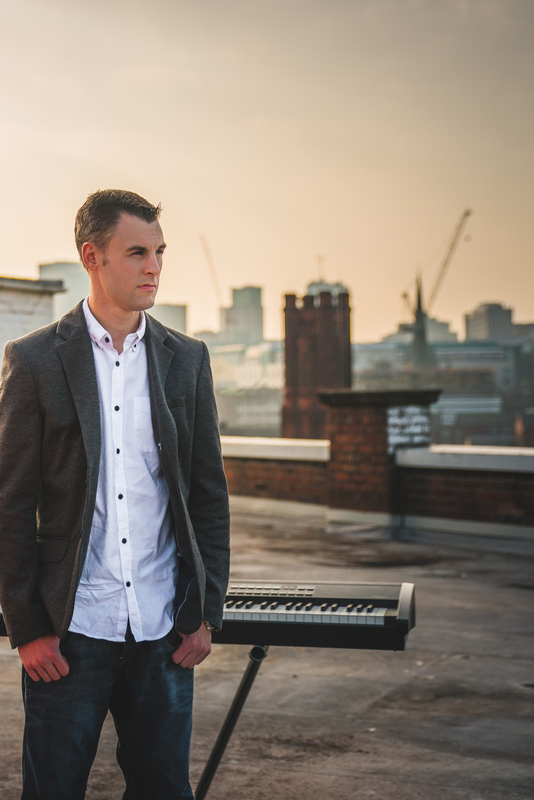 I now perform regularly both as a solo pianist, and with duo’s and bands around the UK and abroad. Some of my previous gig highlights have included a tour of Pheonix and California in the USA, Twickenham rugby ground to over 15,000 people, Manchester G-Mex, Birmingham Town Hall and the Queens Hall Edinburgh. I have played hundreds of functions and live music venues over the years, and have also had the experience of playing on cruise ships. In music theatre I MD’d the second ever production of Title Of Show in the UK. And have accompanied several shows including Copacabana and Boogie Nights. I have also worked with the Birmingham Hippodrome and Stagecoach running music theatre and singing workshops. I have previously worked with or performed to many well-known people including: Alvin Stardust, Bernie Marsden (of Whitesnake), Roy Barraclough, Gemma Cairney (Radio 1), Anita Dobson, Angie Brown, Jamiroquai, and the management of KC and the Sunshine Band. Whilst happy playing in all styles of music from classical through to pop and rock, I am well known for my tight groove and love of all things Jazzy! Turning professional over 10 years ago my work is comprised of Educating, performing and composing music.